The first thing I thought of when I saw this wonderful "vintage photo" by MiniFigNick was the old Adventurer's Club at Disney's Pleasure Island (what a fantastic place that was). 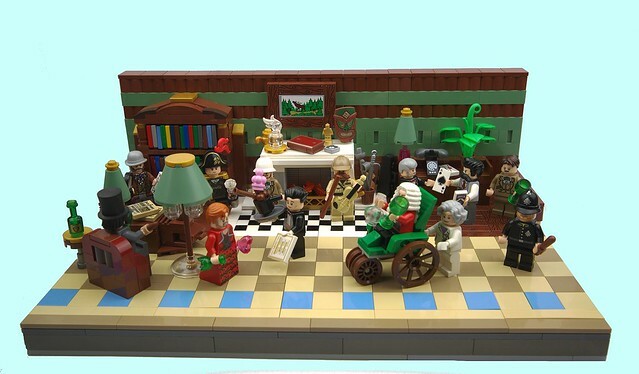 Of course this image is just a small section of the larger interior of the Gentleman's Club. Which incidentally looks like an awesome place to hang out, where do I sign up?